Chicago’s popular indie-funk band and SXSW performer joins us for a night of soul in Claremont. Bassel & The Supernaturals is an eclectic ensemble based in Chicago, IL led by the soulful vocals of Syrian-American songwriter Bassel Almadani. 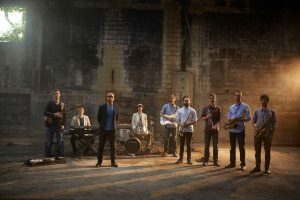 Their music combines soul, jazz, and funk with captivating lyrics about love, loss, corporate life, and a war in Syria that has directly affected Bassel’s family along with over 10,000,000 others.